In this fantasy adventure, young Marty McFly is sent back into the past by his mad-scientist best friend, only to accidentally come between his then-young parents and endanger his own existence. From there, it's a race against time to make things right again. Michael J. Fox, Christopher Lloyd and Leah Thompson star. 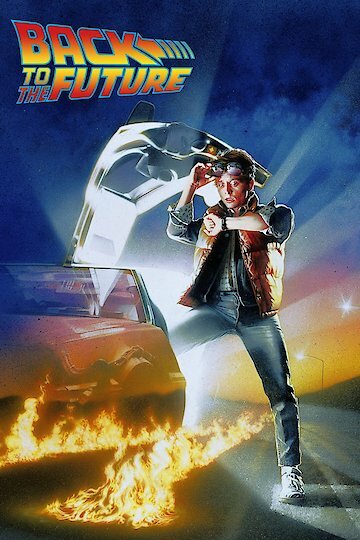 Back to the Future is currently available to watch and stream, download, buy on demand at Amazon Prime, Hulu, Amazon, Vudu, FandangoNow, iTunes, YouTube VOD online. Tinker Hatfield isn't making any promises, but we might be getting power laces sometime this year. Your latest elaborate Internet hoax comes to you now in the form of hoverboards. A very convincing video went viral today from a (supposed) company called Huvr Tech, claiming to have created the first fully functioning hoverboard, a la "Back to the Future." Not only are the special effects in the video slick enough to fool many who watch it, but somehow the people behind Huvr have gathered an impressive group of celebrities to star in the video. It's Back to the Future time! Nike has planned a special Thursday-night unveiling for a special "Back To The Future" shoe line. Blogger Matt Halfhill wrote that Nike representatives gave him a call around midnight Sept. 7 and within hours, had him jetting toward the athleticwear collossus' Los Angeles offices for a well-orchestrated reveal. It's been a long time since Robert Zemeckis directed a live-action movie: his last was "Cast Away" back in 2000. It's been even longer since he visited a time travel storyline, as he did with the "Back to the Future" trilogy, which remain some of the best time travel movies ever made. Zemeckis could soon return to form in both cases as he's currently in talks to direct the exciting upcoming project "Replay."